Listen to "The Harsh Cry of the Heron" on your iOS and Android device. 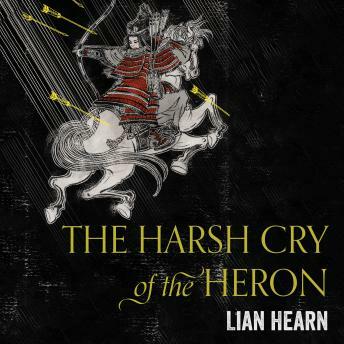 Set fifteen years after the seismic events of Brilliance of the Moon, The Harsh Cry of the Heron is an elegiac and bittersweet successor to the bestselling series by Lian Hearn, Tales of the Otori. Their realm is held in balance by their union . . . Break that union and the Three Countries will fall apart. Otori Takeo and Kaede have ruled the Three Countries peacefully for over sixteen years, following the events laid out in the epic Tales of the Otori. They have three daughters: Shigeko, fifteen years old and heir to the Otori, and Maya and Miki, thirteen-year-old twins who have inherited the supernatural skills of their father. Kaede knows nothing of the prophecy that Takeo will die at the hands of his son and longs to give him a male child. Nor does she know of the boy he fathered sixteen years ago - a boy whose heart is filled with hatred and whose skills as a Ghostmaster give him the power to incite the dead. Takeo is determined that clan conflicts will never again ravage the Three Countries, but warriors are born to fight: the warlord Arai Zenko has deadly ambitions, the Emperor himself has challenged Takeo's rule and, despite a delicate truce between the deadly Tribe and the Otori, revenge still eats at the heart of renegade leader Kikuta Akio . . .
Against these gathering threats Takeo draws strength from his love for Kaede, but even this is not beyond the reach of their enemies . . .